You want to hire a room in an exceptional setting in Haute-Savoir for a corporate event, wedding, reception or any other event? Why not choose an extraordinary place for an unforgettable moment! The Chartreuse de Pomier, a stone’s throw from Annecy and Geneva, will ensure your private or professional event is a moment that everyone will remember. 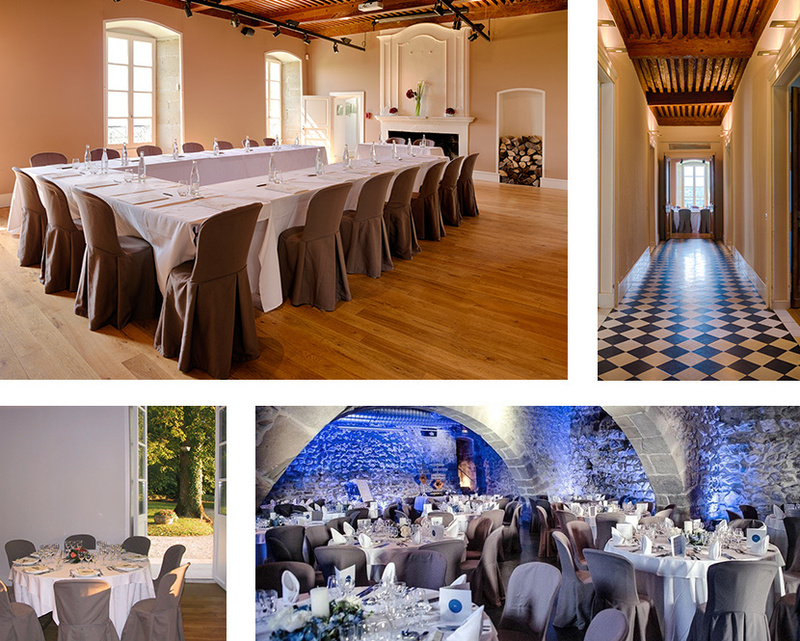 The Chartreuse de Pomier, a stone’s throw from Annecy in Haute-Savoie and not far from Geneva, proposes room hire for all types of events: product launches, seminars, incentives, weddings, receptions, etc. The domain, ideal for organizing a private event or a reception in all tranquility, will charm your guests immediately whatever the layout you have chosen. Combining authenticity and charm, the Chartreuse offers all the modern facilities you need to give concrete shape to your events, and provides rooms fitted with audiovisual equipment and wifi to ensure their success. All events are possible at the Chartreuse de Pomier! The Chartreuse de Pomier in Haute-Savoie, thanks to its many layout possibilities, is able to host all types of event. With its capacity of 20 to 700 people, its 3 car parks, its modular rooms and outdoor areas, and the immediate proximity of the railway stations and airports of Annecy, in Haute-Savoie, and Geneva in Switzerland, access is no problem for your guests. •Indoor and outdoor entertainment to give that extra punch to your event: casino, karaoke, magician, wine-tasting, concerts, DJ, photographer and far, far more! •Arrangements and decorations: furniture, lights, security guards, etc.